Customers frequently ask, “What makes I29 Sports different from all the other promotional products companies out there?” This is our favorite question to discuss, so if you have a moment, we will try to explain below. 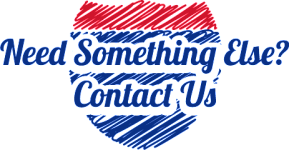 If you’d like to actually experience the I29 Sports difference, give us a call at any time or stop by our showroom in Brookings, South Dakota. We believe that after one interaction you will feel the same way we do about I29 Sports. 1. Your FRIEND in the business! Every interaction with our customers is the most important part of our business. We created I29 Sports in 2012 to offer our massive client list more choices, more options and all with the very best pricing, selection and support on the planet! 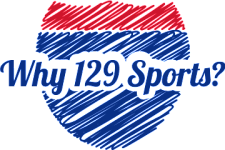 More than 400 AAU teams, club teams and recreational teams call I29 Sports home. In addition more than 200 colleges, high schools and athletic organizations utilize I29 Sports for all of their apparel, equipment and uniform needs from the top brands in the industry and all customized to fit their specific needs. With so many options, colors and sizes available on websites around the world, we look to eliminate all the clutter and focus on LOCAL, hands on experience with our customers. We do as much "on field" testing for our customers as anyone in the industry. We utilize "think tanks" with our customers and coaches to ensure we are not only meeting their needs today, but also future needs. We have uncovered and then created some of the most innovative and unique concepts in the marketplace through these discussions. We stay involved from start to finish and are with you every step of the way. We carry nearly every major brand utilized in the world today for athletics. From equipment to help athletes perform their best, to uniforms that help them look their best and finally endless apparel options to allow fans to show their support, I29 Sports is your home for anything and everything to help your team or your athlete to perform their best! 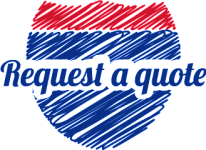 Even though we’re constantly searching the globe for innovative, exciting, and refreshing sports concepts and products, there will still be times when you have a specific request for us. We take these requests seriously, and we can have mockups, scale drawings, and samples ready for you within hours, not weeks. We have the ability to source more than one million items, but our biggest pleasure is finding number one million and one! We know you expect a lot, and we strive to deliver on our commitment to be your FRIEND in the Sports industry! We stock the majority of the products we carry unlike most companies in our industry. Fit and feel play an important part of any team uniform set or warmups. Why "guess" at the fit, when you can visit one of our showrooms and see for yourself. We stock more inventory from the top brands int eh industry and typically always have samples onsite for checkout for your group to do their own fitting! We also support our local communities in many way, including our most famous program where players who qualify for a state tournament may qualify to get their specific state tournament item for FREE! 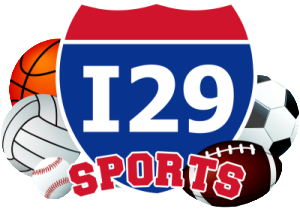 I29 sports is more than just a company. We are a family and like to treat all of our existing and future customers with that same Midwest family principles we all grew up with!